Qmobile launched its smartphone new series i.e. 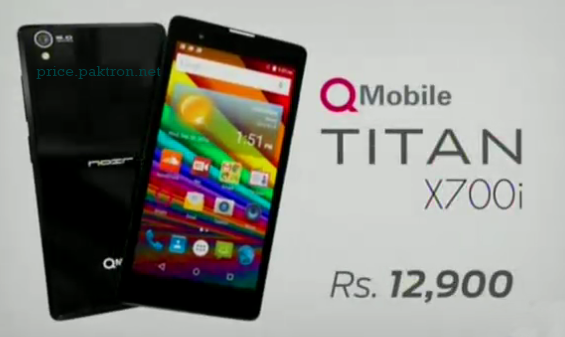 Qmobile TITAN X700i comes with 2 GB RAM with 16 GB internal storage, Android 5.1 Lollipop, 5 -inches HD Mega screen with 1280 x 720 pixels, Dual Sim. 5 Mega-Pixel Rear camera, Auto Focus, LED Flash, Video, 2 Mega-Pixel Front camera.